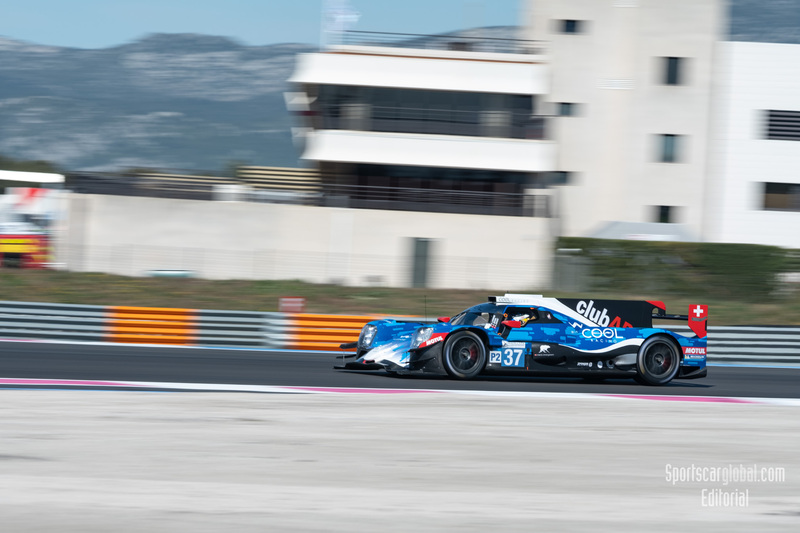 #37, COOL RACING, CHE, Oreca 07 - Gibson, Nicolas Lapierre ( FRA), Antonin Borga (CHE), Alexandre Coigny (CHE) 2019 European Le Mans Series Official Tests Le Castellet 2019, Le Castellet, France. Photo © John D Stevens. The ELMS official test ended Tuesday afternoon after a very busy end of the final session. Where as the final hours of a 2 day test usually seem to be rather quiet, Tuesday was just the opposite. The final hour was a frantic one, with almost all cars venturing out on track. Nicolas Lapierre was the quickest man of the day, putting his #37 Cool Racing Oreca on top of each session. 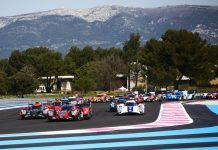 Unlike on Monday, the differences between the teams in LMP2 were much smaller yesterday. At the end of the morning session, the first 12 cars set their best laptimes within a second from eachother. Lapierre’s best effort of 1.41.179 was exactly 0.998 seconds faster than Filipe Albuquerque in the #22 United Autosports Ligier. 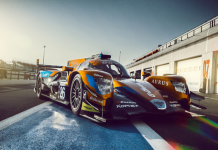 Job Van Uitert seems to have adopted real fast to the speed of the LMP2 machinery, setting the second quickest time in the morning session, 0.120 seconds behind Lapierre in the #26 G-Drive Aurus. 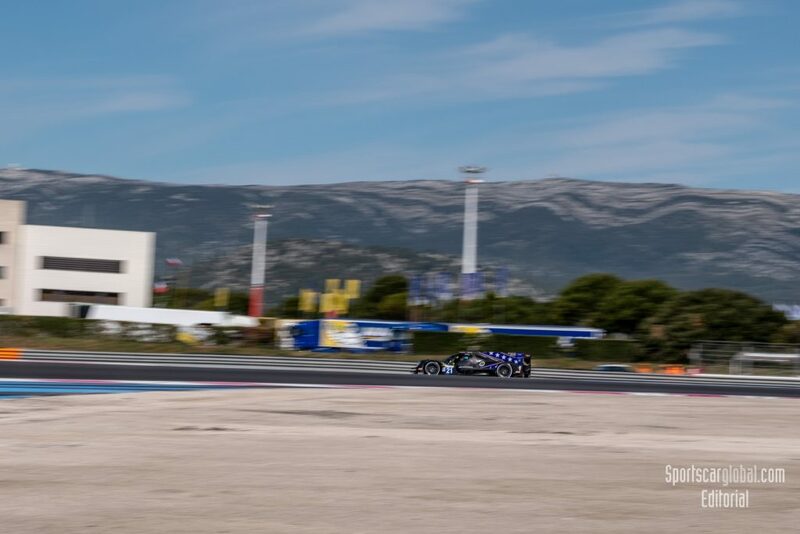 #21, DRAGONSPEED, USA, Oreca 07 – Gibson, Henrik Hedman (SWE), Ben Hanley (GBR), James Allen (AUS) 2019 European Le Mans Series Official Tests Le Castellet 2019, Le Castellet, France. Photo © John D Stevens. 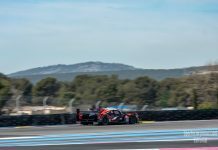 The afternoon session saw larger gaps between the LMP2 protypes. Ben Hanley (1.40.457) did nearly manage to beat Lapierre (1.40.432) in the #21 Dragonspeed Oreca but was 0.025 seconds short. Laptimes dropped further down in the afternoon, but the fastest of the weekend was Anders Fjordbach in the #20 Highclass Racing Oreca 07. Fjordbach set a new lap record during Monday’s night session, going round the 5,842 km track in 1.40.404 with an average speed of 207.6 km/h. The #35 BHK Oreca 07 eventually also made it out for its initiak roll-out, managing 19 laps but well off the pace of all other LMP2 cars. 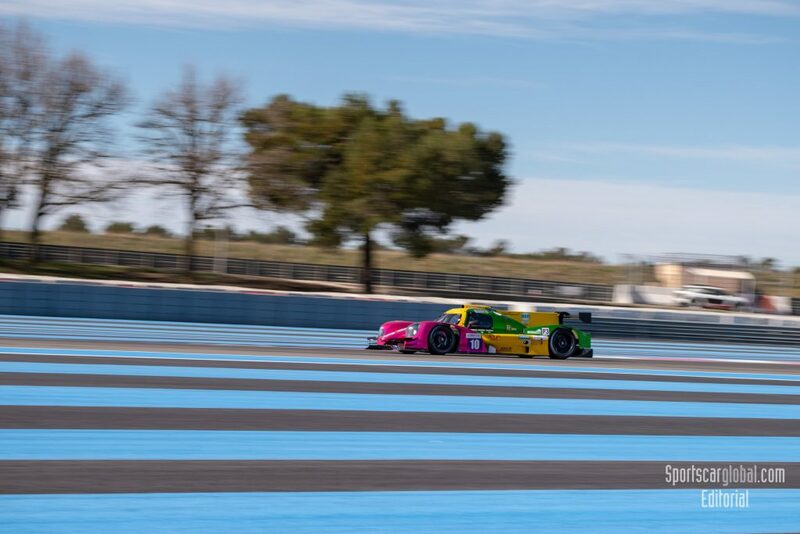 #10, OREGON TEAM, ITA, Norma M 30 – Nissan, Damiano Fioravanti (ITA), Gustas Grinbergas (LTU), Lorenzo Bontempelli (ITA) 2019 European Le Mans Series Official Tests Le Castellet 2019, Le Castellet, France. Photo © John D Stevens. More lap records were set Monday evening in the LMP3 class when Damiani Fioravanti set a 1.49.400 in the #10 Oregon Norma. Fiorevante kept leading the LMP3 class on Tuesday with his Norma, setting the fastest time in both sessions (1.49.887 and 1.50.184). Colin Noble, who was a vast top 3 runner on Monday continued to perform strongly in another Norma: #7 Nielsen Racing, with a third (morning) and second (afternoon) time. Mikkel Jensen was quickest of the non Norma drivers again, climbing up to second in the final session of the day in his #11 Eurointernational Ligier JSP3. 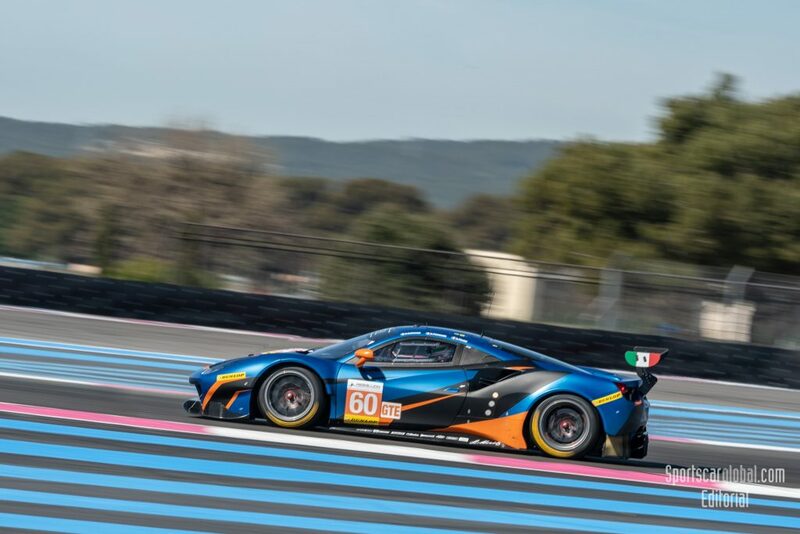 #60, KESSEL RACING, CHE, Ferrari F488 GTE, Claudio Schiavoni (ITA), Sergio Pianezzola (ITA), Andrea Piccini (ITA) 2019 European Le Mans Series Official Tests Le Castellet 2019, Le Castellet, France. Photo © John D Stevens. In LMGTE the Ferrari’s topped the timetable again with Claudio Schiavoni in the #60 Kessel Racing fastest in the morning session (1.53.977) and Alessandro Pier Guidi in the afternoon session with the #51 Luzich F488 GTE (1:53.603). The official lap record in GTE was also broken on Monday evening by Andrea Piccini in the Kessel Ferrari with a 1.53.977. The Ebimotors Porsche drove in both sessions on Tuesday Fabio Babini posting a 1.54.870 as best time over both sessions. Track action for the opening race of the season here in Le Castellet starts tomorrow morning at 11.05h with the first practice session and the Bronze driver collective test at 15.05h.